Susan St John and Keith Rankin have released a working paper that updates a series of previous papers on the welfare system in New Zealand since the 1991 budget. This paper updates the significant changes to welfare policy during the term of the fifth Labour Government (1999-2008) until last year's election and change of government. Appendix 1 provides a summary of the 1990s history of New Zealand welfare. In an article by Michael Fields, he discusses the report's finding that the welfare language has contributed to confusion, hiding child poverty and allowing discrimination. Keith Rankin, co-author of Escaping the Welfare Mess discusses the unfairness of the National personal tax programme that commenced this month in a press release. In this release he also proposes changes that could make the system more equitable, especially for low income people and families. 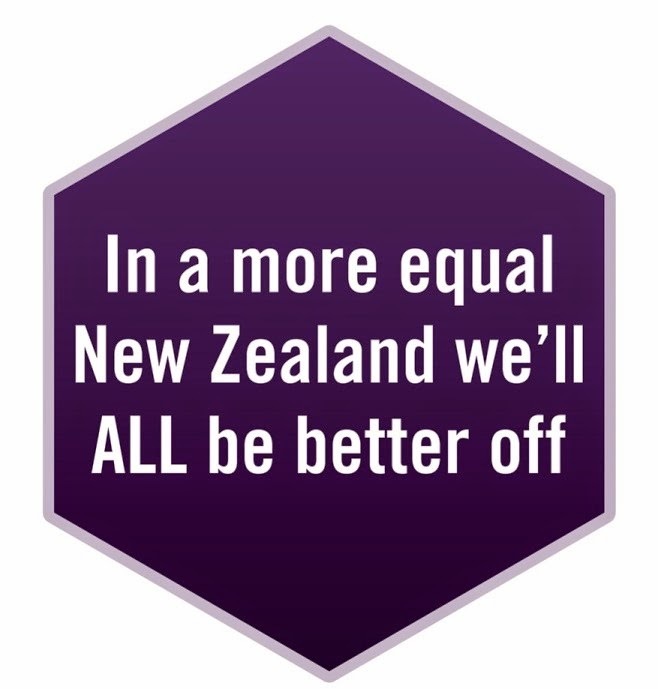 The OECD has released its 2009 Economic Survey of New Zealand and rather surprisingly advises the NZ government to privatise essential publicly owned services like accident compensation and health. In a press release by the PSA the national secretary Richard Wagstaff has rejected this call reminding us “our history of privatisation and the massive bailout of the private sector occurring around the world is graphic evidence of the risks involved in privatising services that we all rely on.” The NZ Council of Trade Unions has expressed similar reservations. Social Development Minister Paula Bennett recently announced that child care and protection expert John Angus has been appointed Children’s Commissioner for six months while a permanent appointment is sought. He replaces Dr Cindy Kiro who has completed her term. The new Commissioner officially started on May 2nd. The Maxim Institute’s Real Issues No 339 focuses on the sensitive issue of daycare and the debate over how risky daycare is for young children and infants and parental choice. It’s an interesting read as it covers some of the literature and looks at some of the policy options to give greater value to parental care, for example the extension of paid parental leave and boosting ECE resourcing. On 1 April Energy and Resources Minister Gerry Brownlee launched a ministerial review into the electricity sector, with an expectation that final recommendations will be available in September. In coverage in the Sunday Star-Times, consumer advocate Molly Melhuish from the Domestic Energy Users Network has commented that the Ministerial Review on electricity won’t “do much for power affordability, especially for low income consumers”. Meanwhile Professor Frank Wolak, from Stanford University, recently delivered a paper (in the USA) on the NZ electricity market and has found that our four largest electricity providers “have used the wholesale market system to raise prices”. An article in the Sunday Star Times 19 April on students living in very cold houses raised important policy issues re affordability. Otago University Researchers found that “making houses more energy efficient was no guarantee they were warmer”. The students surveyed lived in energy retrofitted houses with heat pumps but couldn’t afford to run them! No doubt this problem will apply to all people and families on low incomes – particularly acute now that electricity prices have risen by 72% from 2002 to 2008. The Prime Minister’s address to the Grey Power AGM covered a number of issues of interest. It includes a commitment not to lower the level of NZ Super below 66% of the average wage and renewed commitment not to increase the age of eligibility above 65 years. John Key confirms the government’s commitment to maintain current levels of benefits and Working for Families support. He also briefly summarises the Government’s approach to managing the recession. Health is described as overly bureaucratic and the Government aims to move from a “centrally-driven” system to a more “sector-driven” health system (we are not quite sure what he means in saying this). In discussing electricity prices he acknowledges the problem of rising costs but offers no relief for consumers other than a “review” of the system and speeding up infrastructure investment. Australian 'essay' asks: The marketisation of care, at what cost? The 'Opinion and Analysis' section of Australian's ABC News website recently posted an an edited extract from Paid Care in Australia: Politics, Profits, Practices, edited by Debra King and Gabrielle Meagher (Sydney University Press 2009). This begins with a range of statistics: On an average day in Australia in 2006 there were approximately 145,000 people over 65 years of age living in nursing homes. In 2004-05, a further 562,000 older Australians received some kind of formal, publicly funded care at home - 25 per cent more than three years before. Given that marketisation of care in Australia has parallels to our experience in New Zealand, there are several issues or questions we need to consider: Do New Zealanders want government both to fund and deliver care? Do we want private market provision and what is the “cost” of doing this? NZCCSS has recently made submissions to Parliamentary Select Committees on two bills. We have expressed our opposition to the ‘3 strikes’ bill, more formally known as the Sentencing and Parole Reform Bill. We have also indicated our reservations around parts of the Children, Young Persons and their Families (Youth Courts Jurisdiction and Orders) Amendment Bill. This is the one that has received much publicity regarding the ‘boot camps’ component. Check out Yes Vote coalition website at: www.yesvote.org.nz The site is geared to providing an informative platform for taking action in the lead up to the referendum on the Crimes (Substituted Section 59) Amendment Act 2007 in July/August which will pose this question: Should a smack as good parental correction be a criminal offence in New Zealand? Keep in mind that Police are exercising discretion in their administration of the law and parents are not being prosecuted for lightly, or occasionally smacking children. A YES vote supports a law that is working well. A YES vote protects children. The website find of the week was the Centre of Social Innovation – a very recently launched grouping of public, private and community groups looking for better ways of meeting social needs. Of special interest was their Innovating Through Recession series and the presentation by Geoff Mulgan from the Young Foundation in the UK who spoke about the rising importance of “social industries” and innovation in combating the recession. Budget 09: Child Poverty – For Better or Worse? Child Poverty Action Group is organising the 9th annual Post – Budget Breakfast. More details will be printed soon, but be sure to mark this date in your calendar! 7.30am – 8.45am on Friday 29 May - School of Population Health University of Auckland, Tamaki Campus. Asia Pacific Social Work Conference - Auckland, 11-13 November 2009 - "Many Voices, Many Communities, Social Justice for All"
EARLY BIRD registrations for this regional and global conference close on 30 May.